Skin rejuvenation is the visible improvement of sun damaged skin through the use of pulse dye laser technology which will stimulate the underlying collagen. Are you a candidate for facial rejuvenation, also known as photofacials? The answer is “Yes” if your skin shows evidence of chronic exposure to the sun’s ultraviolet light.Physicians call this condition “photodamage”, and the most obvious signs are coarsening of skin texture, wrinkling, irregular pigmentation, and enlarged blood vessels and pores. Typically several treatments are required for full-face treatment. The average treatment takes about 20 minutes. Results may become apparent after a few treatments (usually over 2 months). How does pulse dye laser treatment differ from CO2 lasers, chemical peels, and dermabrasion? Unlike CO2 lasers, dermabrasion or chemical peels that remove the outer skin and require significant healing time, the pulse dye laser gently penetrates the skin without damaging it. 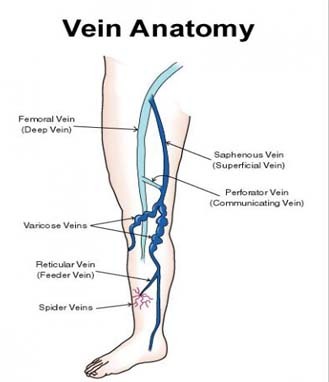 Spider veins are those small, red, blue or purple blood vessels that appear most frequently on the face, chest and legs. Pulsed laser provides a non-surgical treatment option for the removal of spider veins. During the treatment, light energy is delivered to the targeted vein. The light energy is absorbed by the blood vessels. This heat absorption causes a thermocoagulation (clogging) of the blood vessel, and with time, fading of the blood vessel.